Description:Used 2016 Mastercraft Nxt20 for sale - Call with 700 miles. Online Auction #13656-1 (Ends 4.30.19) AuctionDeals.com, powered by GovDeals, is the online platform where you can bid on and buy commercial surplus. Online Auction for Commercial Surplus - Auction Ends 4.30.19 - To view auction details go to www.auctiondeals.com and "Search For" 13656-1. Click the QAL box and then hit search. Price is subject to change at any time during ongoing auction. 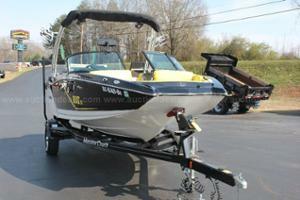 2016 Mastercraft NXT20 - auctiondeals.com SUPER CLEAN 1 OWNER MASTERCRAFT NXT20! 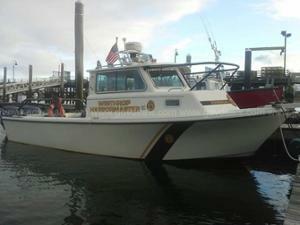 THIS PROFESSIONAL SKI BOAT IS A LOCAL BOAT THAT HAS NEVER SEEN SALT WATER. IT HAS A 5.7L FUEL INJECTED MOTOR, WAKE BOARD RACKS, WAKE BOARD TOWER, A NICE SOUND SYSTEM, INFLATABLE WATER BALLAST SYSTEM, DEPTH FINDER ETC. THIS BOAT WAS CLOSE TO $90.000 NEW AND IS JUST GETTING BROKEN IN WITH 700 HOURS. 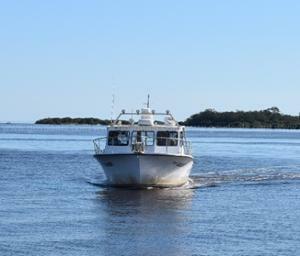 Description:Used 1966 Oceanographic Vessel for sale - Call Online Auction #6794-213 (Ends 5.20.19) Online Auction for Government Surplus - Auction Ends 5.20.19 - To view auction details go to www.govdeals.com and "Search For" 6794-213. Click the QAL box and then hit search. GovDeals.com is the online platform where you can bid on and buy government surplus. Price is subject to change at any time during ongoing auction. 65.5' Oceanographic Vessel: Clifford A. Barnes - govdeals.com This vessel is located at the UW Marine Sciences Building dock on our Seattle campus.The Clifford A. Barnes has been a “local” class oceanographic research vessel built originally as a U.S. Coast Guard ice-breaking harbor tugboat. The vessel was transferred to the National Science Foundation in 1982 before its conversion to marine science research and assignment to the University of Washington. Full ownership for R/V Barnes was transferred to the UW in late 2018. R/V Clifford A. Barnes was built in 1966 at Western Boat in Tacoma, Washington, as USCGC Bitt WYTL 65613. The Barnes and her sisters were a class of fifteen (15) ice-breaking small harbor tugs designed for Ice Ops, Search/Rescue and Pollution Response. As the BITT, she operated from Puget Sound to Alaska and was decommissioned in 1982 and surplussed to the National Science Foundation. TYPE OF CONSTRUCTION: Longitudinally stiffened and transverse framed steel hull, and steel house, of all welded construction. Reportedly ½ inch plate from bow to aft of engine room bulkhead, and 5/16 inch aft of engine room. Unknown when last gauged. Vessel has been primarily docked in fresh water since acquired by the university in 1982-83. BOW SHAPE: Modified light ice-breaking bow. STERN: Rounded counter stern with low bulwark. HULL DESIGN: Displacement Hull, with modified light ice-breaking bow and tunnel stern. BUILT: 1966; LENGTH (LOA): 65ft 5.5in; BEAM: 19ft 7.5in; PROPULSION: CAT D379 Marine Diesel; HORSEPOWER: 400 @ 1220 RPM; FUEL OIL (98%): 1920 Gallons; FRESH WATER (100%): 800 Gallons; GREY WATER: 40 Gallons; SEWAGE: 250-Gallon Tank Portside Engine Room; DRAFT (MAX): 6.8ft; GROSS TONNAGE: 86; DISPLACEMENT: 86; CREW: 2; SCIENTIFIC PERSONNEL: 6; MAIN ENGINE: One 420HP Caterpillar diesel; SHIP‘S SERVICE GENERATORS: Two 35kw Isuzu diesels (440v, 3 phase, 60 cycle); SPEED, CRUISING: 8.5 knots; SPEED, FULL: 10.2 knots; SPEED, MIN: 1.5 knot; ENDURANCE (based on fuel only): 14.9 days; ENDURANCE (based on food/habitability): 4 days; RANGE (based on fuel consumption): 992 NM; FUEL CAPACITY: 1800 gal; LABORATORY: 119 sq ft; PROPELLER: One (fixed pitch); OWNERSHIP: University of Washington in full. TITLE: The University of Washington has a copy of the Transfer Order from the National Science Foundation to the UW.